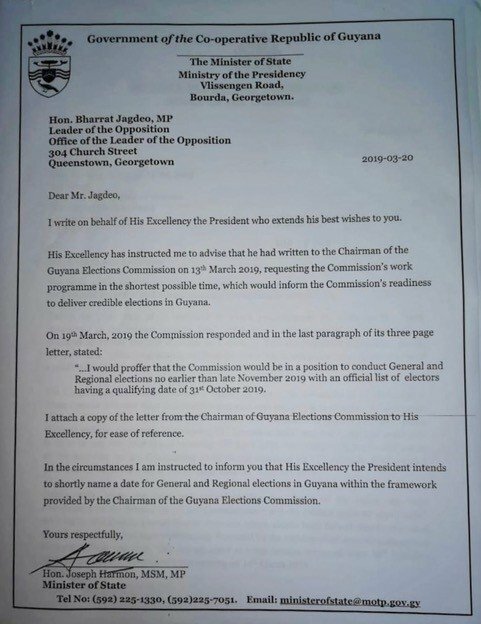 President David Granger is to shortly name a date for general elections using the framework supplied by the Guyana Elections Commission (GECOM) which had indicated that it would be ready by November this year. 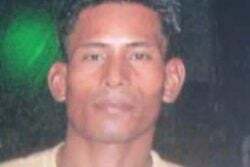 This information was supplied to Opposition Leader Bharrat Jagdeo by Minister of State Joseph Harmon in a letter dated March 20th. A date using the November framework has already been rejected by the opposition.